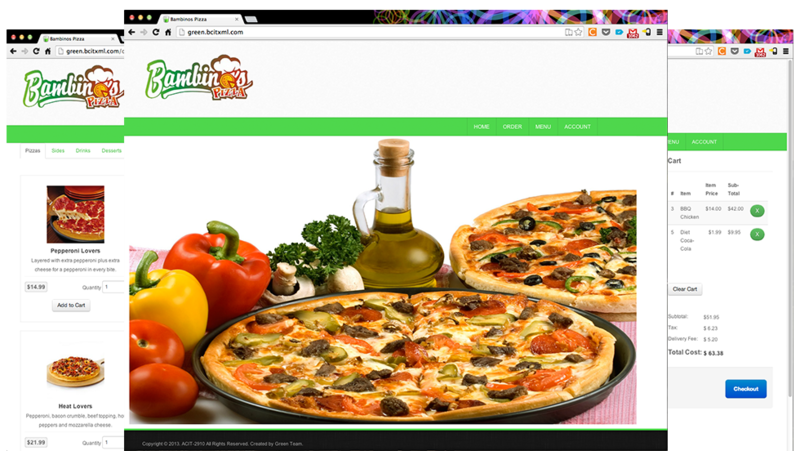 Bambino’s Pizza is a project that I developed in a team of four, during the first year of the CIT program at BCIT. The purpose of the project was to experience real-world project management practices, as well as using web technologies to make a website with responsive design. My team and I decided to make a website for an online pizzeria. The project was expected to be designed, developed and delivered in a span of three weeks. Managed the project, due to my previous experience managing similar, small projects. Used the Model-View-Controller implemeted with the Codeigniter framework. Developed an administration area where it is possible to add, edit or delete items from the menu.